I love variations on a known format. I enjoy drafting variants, adding Emperor or Planechase to things, and I even enjoyed the surge of Tiny Leaders interest earlier this year. It’s a lot of fun to take something you know and apply it in a new way. If your Twitter feed is anything like mine, you’ve seen more and more mentions of a format called Canadian Highlander, and just as Tiny Leaders offered us some financial opportunities, CH does as well. Canadian Highlander works a lot like Commander. They are both singleton formats, with 100 cards in the deck. In fact, Canadian can allows up to and over 200 cards, if that’s what you want. Canadian lacks the ‘Elder Dragon’ portion, focusing instead on the Highlander aspect. There can be only one of a given card, but most interestingly, you can play with anything, with these exceptions: No silver borders, no ante cards, no Conspiracies, no dexterity cards, and no Shahrazad. Yes, you can play your gold-border cards! You can even break out your Championship Deck cards! Your life total is a mere 20 points, instead of EDH’s 40. All other cards are legal. Moxes. Lotus. Library of Alexandria. Fastbond. Rofellos. Everything is permitted! Plus, there’s no commander dictating what colors you play! Ultimate freedom! Well…except for a list of a few cards which have been given point values, and a deck can have 7 points for every 100 cards. This is a fascinating way to build a deck. In many ways, it looks at what the most ‘problematic’ cards are and forces you to only have some of them. What does your deck need most? What do you value most? If you’re tired of the complaints and annoyances of different EDH playgroups, about who plays infinite combos and who doesn’t, Canadian Highlander is for you. Play combo all you want, as long as your deck fits the points. Time Vault is five points, so you can’t play that alongside Demonic Tutor. Choose wisely! Canadian Highlander is a fun format allowing you to play a lot of cards that Commander doesn’t allow, and that is what represents the biggest financial opportunities. There is no banlist, and that is the main point. If Canadian takes off, even into a brief spike as Tiny Leaders did, then we should look at the cards that stand to gain the most. The Power Ten (Library should be counted) are already too expensive, but there are other things to look at. Tinker – The nonfoil is $5, the foils are $11. It’ll never be unbanned in any format, there are just too many broken things to go find. That’s also why it stands to gain if the format gains attention, there’s just so many awesome things to go find! Birthing Pod – When a card is too good for Modern, it’s worth paying attention to. It’s hard to build a consistent deck in a 100-card format, but you can take inspiration from what Kiki-Pod decks did, winning from a one-drop and a two-drop with Pod in play. Sacrifice a two to get Deceiver Exarch or Pestermite, untap the Pod. Sacrifice a one-drop to get Phantasmal Image, copy the Exarch, untap Pod. Sac that (it costs three as a copy) and get Restoration Angel, flicker Exarch, untap Pod, sacrifice that Angel and get Kiki-Jiki, the Mirror Breaker. Good Game. So I like having foil Pod at $20, and even regulars are under $5. Tolarian Academy – It’s $25 already but this is one of the cards that could really bust out. It’s a Vintage staple, it’s one of the most unfair cards ever, and it demands answers. Gifts Ungiven – Because this isn’t banned in Modern yet, it’s still at nearly $10. The power cannot be denied, though, and if Canadian takes off this would be a card that could gain a lot of value. Fastbond – at only $5 for the Revised version, part of me wants to laugh at the idea of actually buying these, considering how many of these I threw away as a teenager. The value will be there, though, because it’s a small price for dumping all your mana on the table. Channel – I would focus on the FTV version at around $6, as that’s the only foil version to be had. Balance – There have been a few additional printings of this card, and your choice of foil versions to be had. It’s a backbreaking card when a deck uses it right, and this is a card that really punished aggressive decks too. 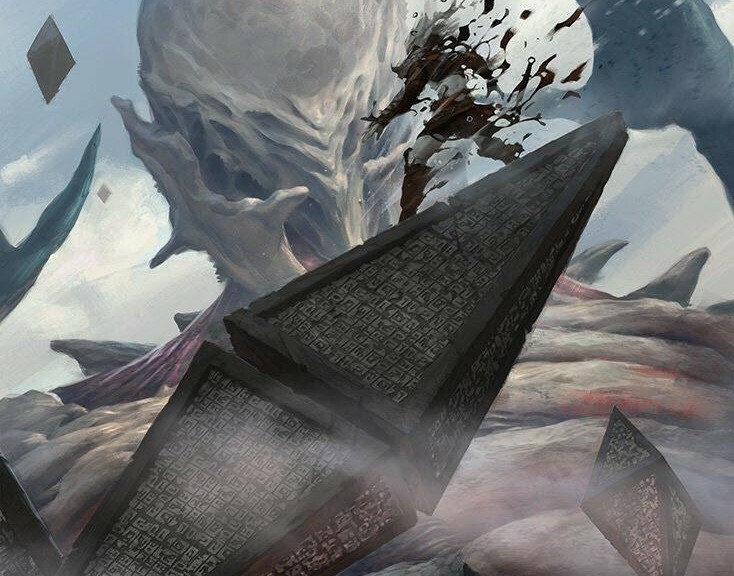 Emrakul, the Aeons Torn – I don’t care that it just got reprinted, I want a few to keep safe for when they go up, because they will. All of these listed cards would probably do well as long-term speculation holds, because they are unlikely to be printed again. I’m officially on record as no longer predicting what Wizards will or won’t do, though, so be aware that anything not on the reserved list is fair game. starting to compare it with EDH/commander was a little bit confusing, because it’s nothing like that. It’s just highlander (highlander is older than EDH, EDH being a variant of highlander). Short after Tiny Leaders, I’m curious to see if people are really going to jump on this one. I doubt it will have much financial effect. We had TL, we had old school magic, and now this. 3 new formats in 2015 that we should expect to warp mtgfinance? I’m wondering where all the foil TL commanders are now? Probably somewhere in a stock . Evaluate the TL specs from beginning of this year. I don’t know if anyone bothered with TL as a long-term plan. I sure didn’t. If any of these cards spike, I’d sell instantly. I started with the EDH comparison because it’s the highlander most people know. Canadian is gaining traction because people don’t like the banned list. Can confirm that this format is awesome. While I’ve heard praise for Canadian Highlander, I’m very skeptical about making financial decisions — particularly speculation — based on the potential success of the format. At this point, there are infinite variant formats for people to invest in: Commander, Tiny Leader, Canadian Highlander, Cube, Old School, and so on. At some point, the weight — both financial and organizational — of maintaining decks for so many formats becomes encumbering. Are players willing to go to the trouble of building decks for so many formats? Players go where there is support for them to play; this is part of the reason that Commander is very successful, while Tiny Leaders is fringe. Unless there’s a ton of support for people to play Canadian Highlander (e.g., side events at GPs and SCG Opens), it will remain niche and, as a result, a risky market for speculation. lol canada becoming the inspiration for MTG over and over again. first inventing cube, then tiny leaders coming out of winnipeg, canadian highlander, and they even got a mulligan named after a west coast city now.